There is loads of video content available online for you to watch on your smartphone or tablet – but what if you are out and about and want to watch something that’s on live TV? D-Link has a solution, it’s tiny and costs just $50! The problem with trying to watch Free-to-air TV on your mobile devices is that most live TV content is not streamed online. 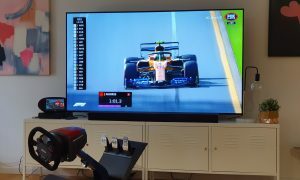 Major sporting events require an app and or subscription, reality TV shows aren’t available anywhere – the reason being the TV networks want you watching live on TV because that’s how they get their ratings! 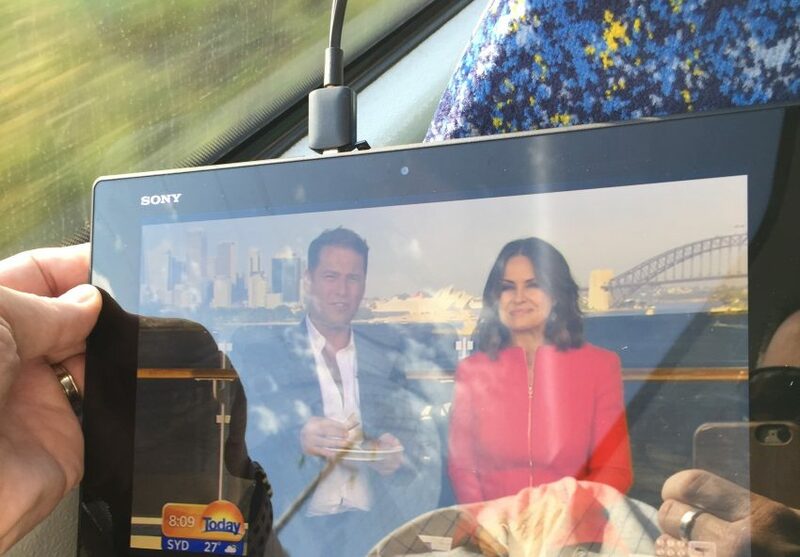 This week, I was watching The Today Show on Channel 9 while on the train, and while that’s one show that is Live-streamed, I had no internet connection and if I did there would have been no data cost with this solution. 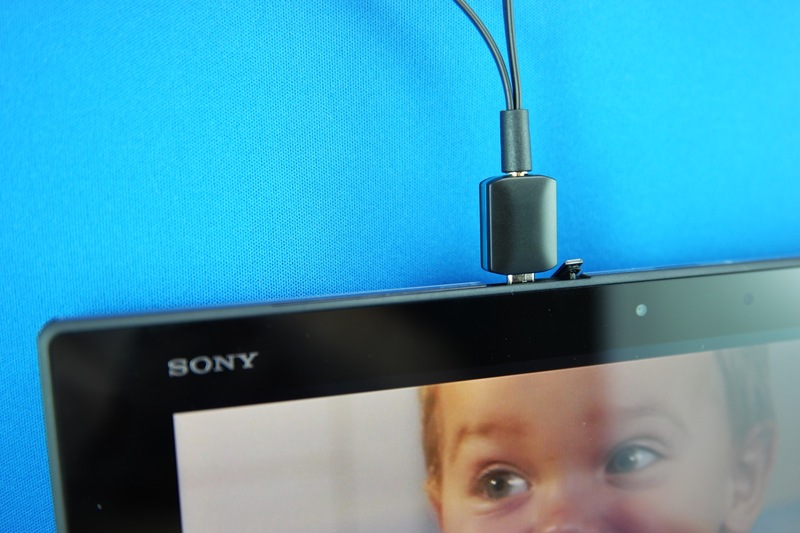 It’s a tiny little device, the size of a ten cent piece, and it works on Android devices, plugging straight into the USB connector. 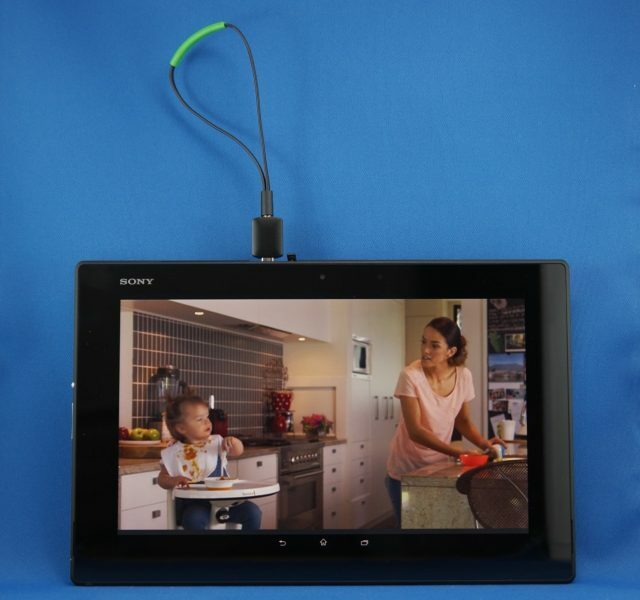 Install the D-Link TV app and as soon as you plug the tuner in the app will launch and turn your tablet into a TV! There’s a full EPG, visual channel guide, and you can even record what you’re watching. Imagine you don’t have a TV in the bedroom, keep the D-Link TV device beside the bed and plug it in when you want to watch that late night or early morning sports event – keep some headphones handy too so you don’t wake anyone else up. 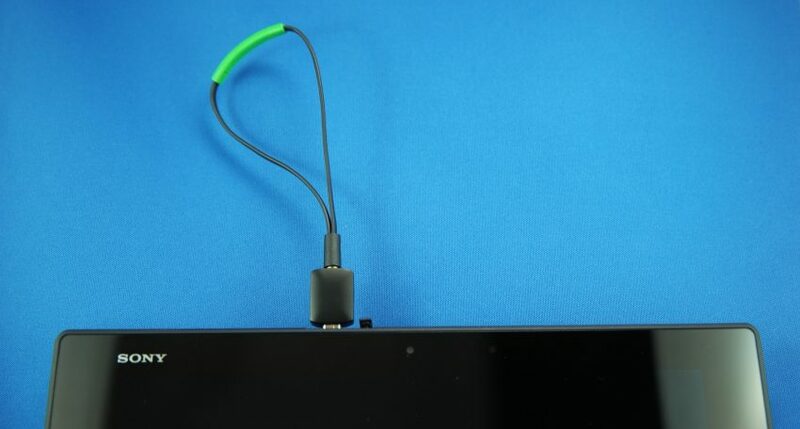 The device comes with a small loop antenna, or you can get a cable which plugs into your home antenna – not quite sure why you’d do that though as you’ve probably just got a TV there. But there’s a couple of issues you should be aware of. 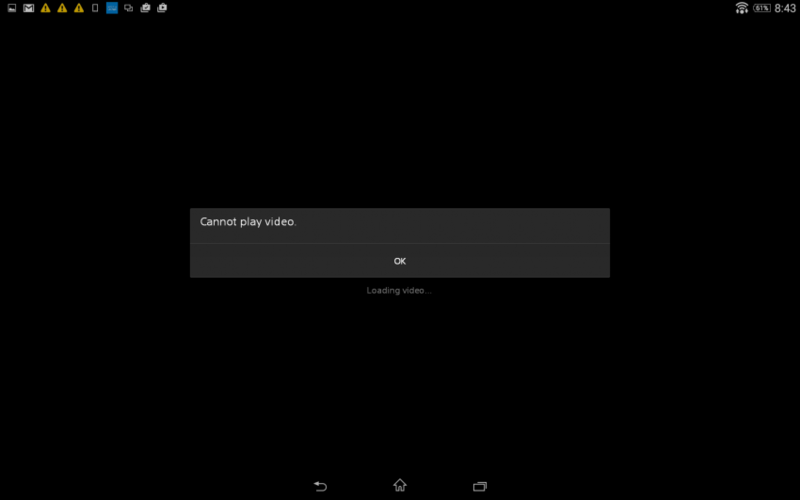 Firstly, on the Sony Xperia tablet I was testing it on, I was unable to play back the recordings I made. Then there’s the reception. You’ve got to be in a pretty good area of reception to get it working. At my home on the north side of Sydney I struggled indoors but got good reception outside. On the train it was ok unless we were heavily restricted by high embankments, and of course there was no reception in the tunnels. But for down at the park, sitting at a sporting event, or just kicking back in bed – this is brilliant. And $50! A steal. Using a Sony tablet, rofl, this guy is a shill getting kickbacks or just stupid. All Sony stuff is overpriced and features are similar or downright inferior to their cheaper competitors. Sony has posted losses in 9 out of the 10 previous fiscal years. They have fired over 10,000 employees in the past decade. They were forced to sell their NYC headquarters, their Tokyo “Holy Land” building, their birthplace and the majority of the “Sony City” area in Japan. They have liquidated assets at an alarming rate. They have closed gaming division development houses. Their PC division is a billion dollar flop. Their TV division will soon be closed. They lost portable music to Apple. Lost the lucruitive mobile sector to competitiors.Their American CEO abruptly abandoned the company. They are bleeding developer talent at an alarming rate. Their credit rating is still junk status at all three credit agencies and now their stock is no longer backed by the Japanese government, making it worthless in the eyes of serious investors. OH MY GOD – you have to be the most unstable person I’ve ever come across. 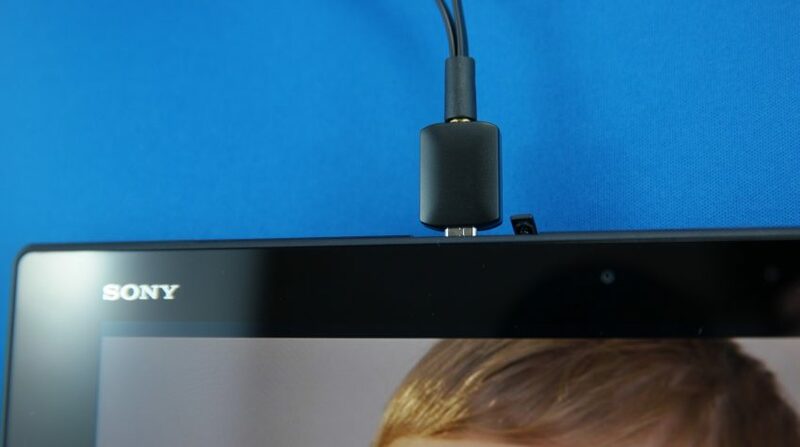 THE ARTICLE IS ABOUT A D-LINK DIGITAL TV TUNER FOR ANDROID TABLETS. 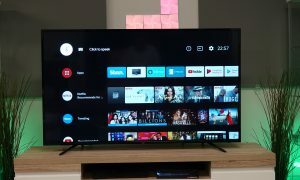 I picked the first Android Tablet I could find in my office, you need to take the SIM card out of your phone, disconnect your home internet and turn off WiFi from all your devices – there’s not a place on the Internet you should be allowed to visit. Oh, and if you stay online, block this website – we don’t want you here. That sounds cool – can you then send it to apple tv? 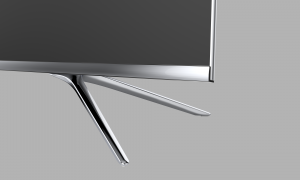 (sounds weird, but I have a TV in a room where there is no antenna .. that would help.. There are plenty of iOS options – nothing this tiny! Thanks for taking the time to inform us on this device. Some people are just…stuff it, I’m going to say it. Henry, your a moron. This isn’t a financial advice page! no reason why not if you have the right connectors! I’m not sure if it’s just a standard male female type adapter or if dlink has a special one of there own? Thanks.for the quick reply too mate!